We make conservation happen on-the-ground by partnering with local communities on a voluntary basis to care for California’s land, water, soil, and other natural resources. 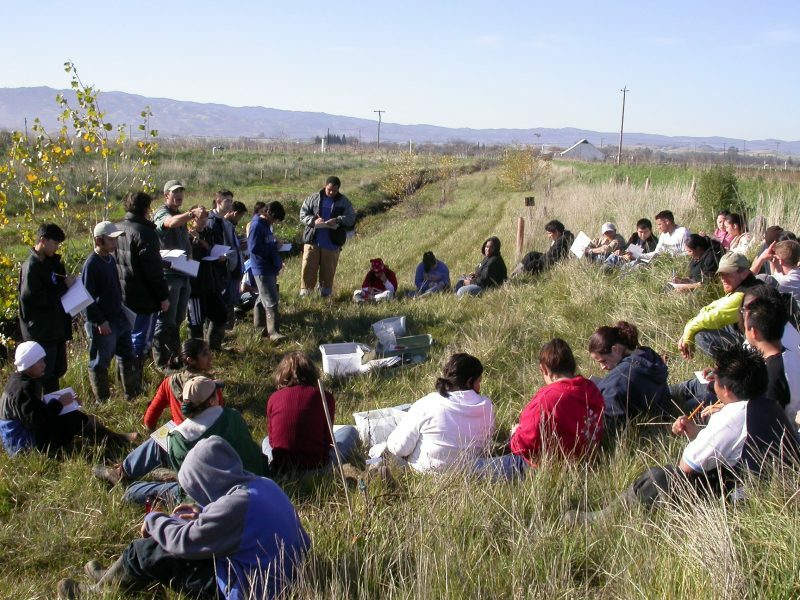 Resource Conservation Districts (RCDs) work to be Relevant, Excellent, and Visible go-to hubs for natural resource conservation and agriculture on public and private lands at local, regional, state, tribal, and federal levels. We were designed to evolve with the changing needs of people and the land, to ensure that California is home to thriving and resilient communities, landscapes, and economies. Our statewide network serves rural, urban, and suburban populations, and consists of conservation professionals and local experts committed to seeing our communities thrive. We connect communities and individuals to the technical, financial, and educational resources they need in order to be excellent stewards of natural resources across California’s diverse landscapes. RCDs understand the needs of their communities. As special districts of the State of California governed by locally-elected or appointed boards of directors, our leaders are also your neighbors — they live in-district and understand what the local resource needs and concerns are, which helps steer the RCD in the right direction. Our teams consist of administrative professionals and conservation scientists who are skilled at developing, implementing, and monitoring many different types of projects. RCDs can assist individuals, municipalities, and other partners in planning, design, permitting, construction oversight, monitoring, and grant application support services. Their areas of expertise can include (but are not limited to): sediment reduction and erosion control, water conservation and rainwater catchment, water quality protection, groundwater recharge, habitat enhancement, flood management, and nutrient management. RCDs combine the accountability and transparency of a public agency with the flexibility and non-regulatory approach of a non-profit organization. This nimbleness allows us to adapt to the ever-changing needs of our communities, build trusted relationships, and act as the crucial bridge that connects individuals with state and federal partners and programs. RCDs are known for efficiently combining and leveraging resources from multiple sources. The districts operate with minimal overhead and tend to complete their projects at-cost, enabling them to get their work done at a fraction of the time and cost of most agencies and independent contractors. Because of the strong partnerships they build and their effectiveness at fundraising, RCDs are able to effectively and exponentially leverage resources. It is standard that an RCD brings in ten dollars per every dollar spent. Partnering with Native American tribes, federal, state, and local agencies, non-profits, and private foundations, RCDs work citizen-to-citizen — across political and economic divides — to bring critical educational, technical, and financial programs and resources to individuals and communities throughout the state. Our versatility means that we can provide everything from technical assistance to design and installation of conservation projects to community education programming. RCDs can receive grants, be contracted with directly, or develop intergovernmental agreements to complete work on behalf of other public agencies. RCDs were first founded after the Dust Bowl in the 1930s to bring federal and state funding and technical assistance to farmers and ranchers so that they could voluntarily conserve water, soil, and wildlife habitat on their land with the help of a local and neutral partner. Spanning many generations, RCDs have maintained deep connections to farmers and ranchers but most have also evolved with the changing needs of California’s diverse communities. Today each RCD’s projects and programs are different, and their services often include habitat restoration, forest health, healthy soils, public education, landscape-scale conservation planning, climate resilience, and assisting municipalities and the state in managing water use and preparing for drought and fire. RCDs always work with their constituents on a voluntary basis — a key reason they are considered a trusted resource in their communities.